The Romantic period of music is filled with impressions that sweep the emotions through intense melodies, harmonies that paint pictures, and dramatic conclusions that bring audiences to their feet. Our concert tonight includes all of those critical elements in just two grand pieces. Edvard Grieg’s famous piano concerto opens with grand gestures by the pianist, followed by sweeping melodies in the orchestra. A continual interplay between soloist and orchestra sets the stage for a concerto by which romantic standards are measured. Serge Rachmaninoff’s Second Symphony is perhaps his most popular symphony. The themes are heard as often in the concert hall as they are on the radio and the movie screen, with interpretations as varied as the mediums themselves. Both composers were masters at creating moods and paintings that take listeners to a different, more gentle and passionate time. Please join us Saturday, February 2, 2019 at 7:30pm at the Julie Rogers Theatre for Classic Series III. This amazing show is made possible thanks to the support of our Concert Sponsor, Honorary board member Rosine Wilsonand our Guest Artist Sponsor, Regina Rogers. Our sponsors help the Symphony of Southeast Texas play a role in the education, entertainment, and cultural enrichment of all residents of Southeast Texas. 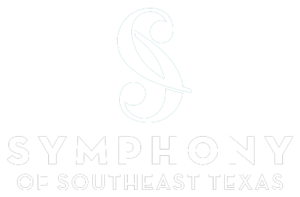 The Symphony of Southeast Texas, embarking on its 66th season, is a regional, professional orchestra based in Beaumont, Texas. The Symphony performs a number of subscription concerts, educational programs and other concerts throughout Southeast Texas each year. SOST’s home base is the Julie Rogers Theatre in downtown Beaumont. The orchestra is composed of local musicians from the Beaumont vicinity, as well as many musicians from the Houston and Lake Charles areas. Selections from the upcoming Classics Series include Faure’s choral masterpiece Requiem and Ravel’s Daphne and Chloe Suite No. 2. The final Pops concert will feature The Texas Tenors. or call the Symphony Office at (409) 892-2257.